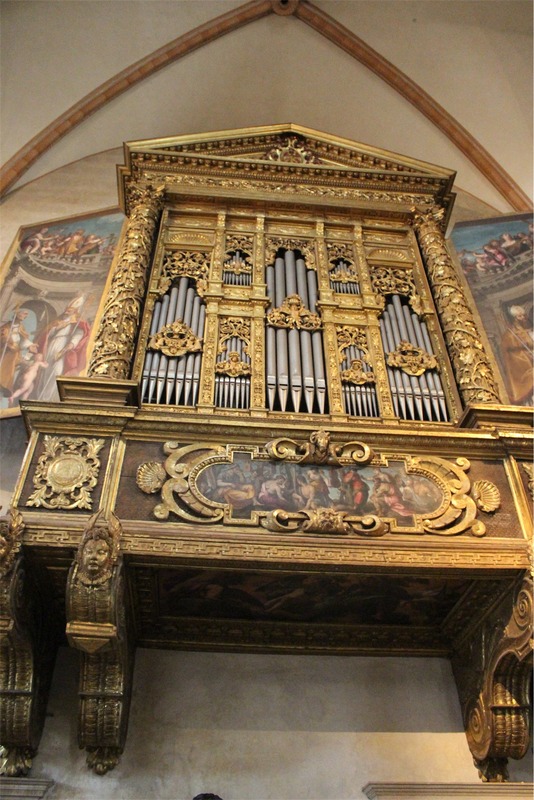 Verona is a beautiful city that is well known as the setting for the Shakespeare play, “Romeo and Juliet”. This city was on the list of places to stop for Keith to indulge another aspect of his inner fan boy. 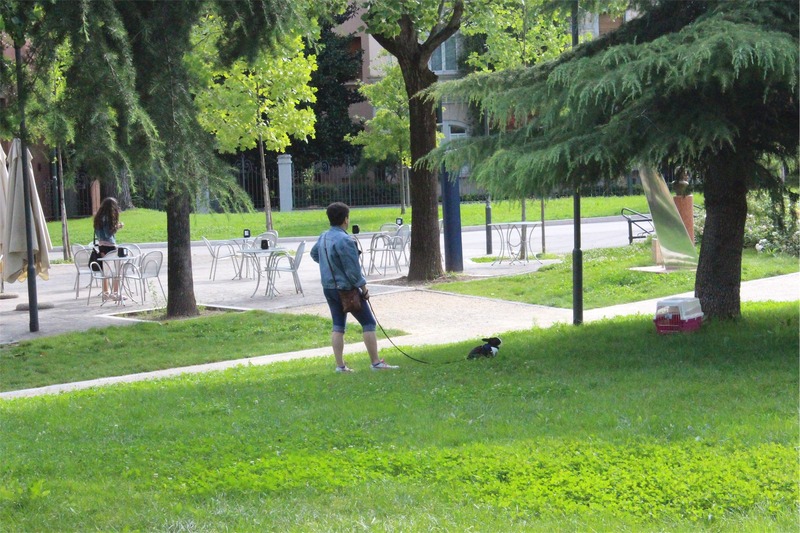 Nothing could have prepared us for the first thing we saw though – a lady taking her rabbit for a walk on a leash in the local park! 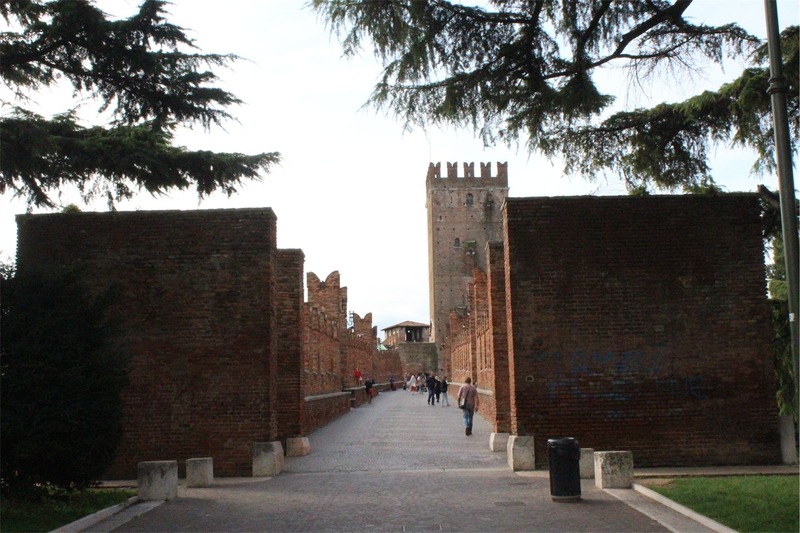 Built on the foundations of a Roman fort, the Castelvecchio is the looming castle that dominates Verona. 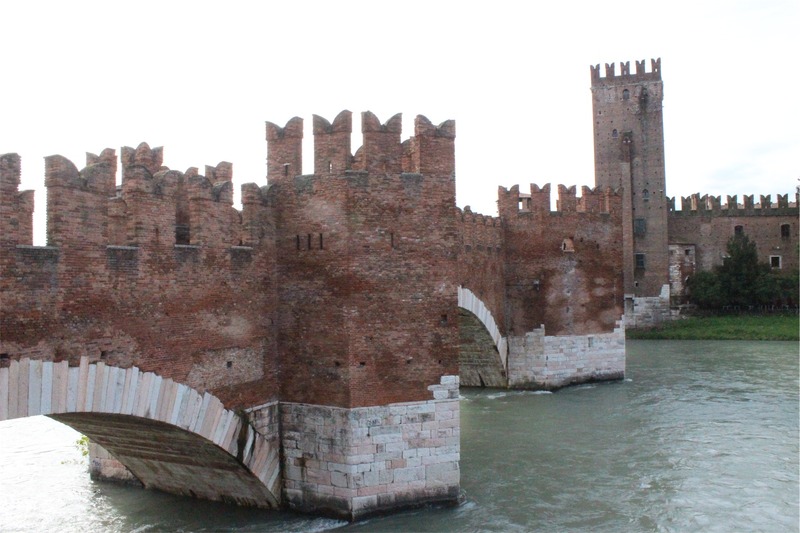 It was built in the 1300s and consists of huge walls, a massive keep and the bridge we crossed to get into the city. 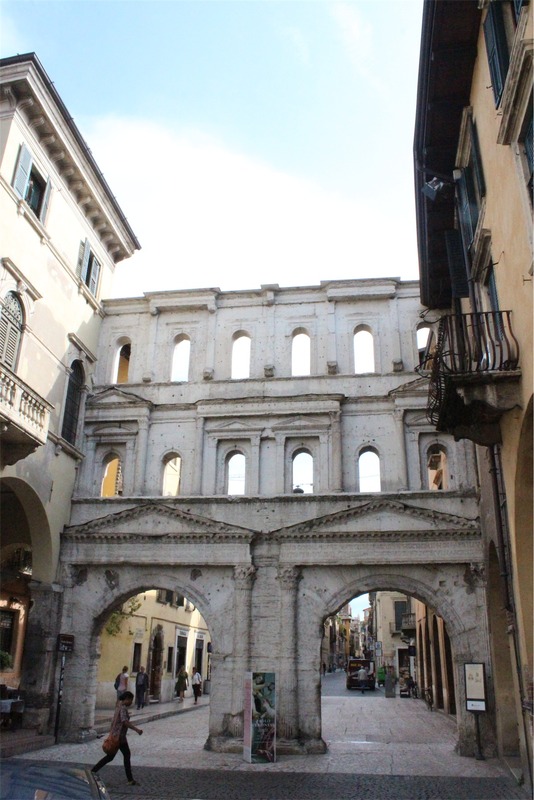 There are remnants of Roman architecture throughout Verona, including archways that date back as early as the 1st Century AD. Juilet’s Balcony is probably the most famous of the landmarks in Verona. Although the picture below shows the balcony and a statue that commemorates it, it doesn’t show the millions of people crammed into the tiny square to take photos. Lucky Keith is tall and was able to get the picture! There are many piazzas through Verona, all with cute cafes and restaurants and most with vendors selling masks and souvenirs. 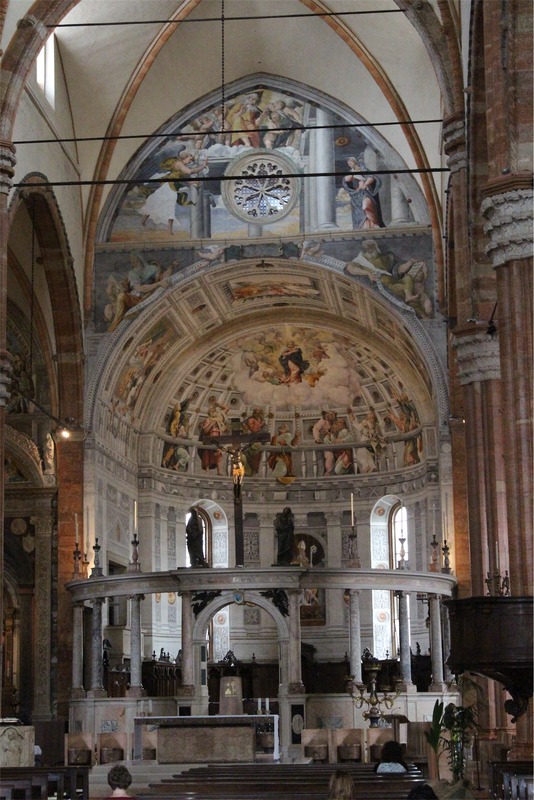 The main Cathedral in Verona was under restoration, but luckily still open. 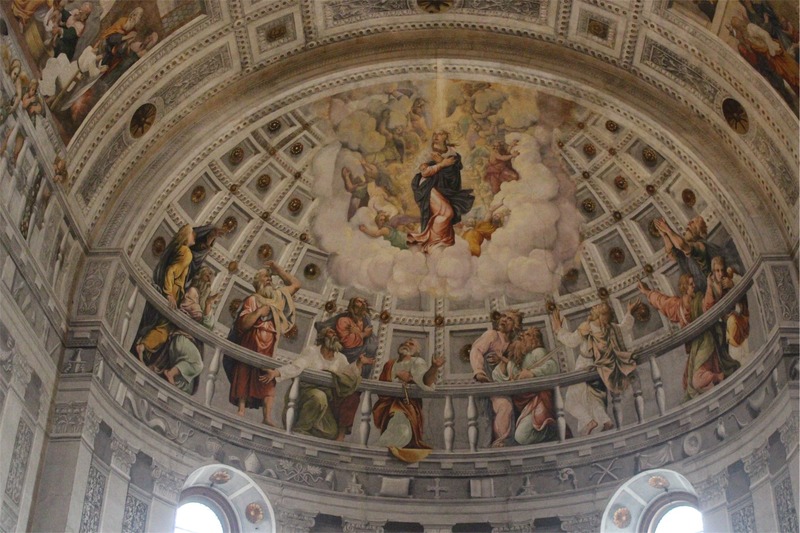 It’s called the Chiesa dei Duomo and is just spectacular. 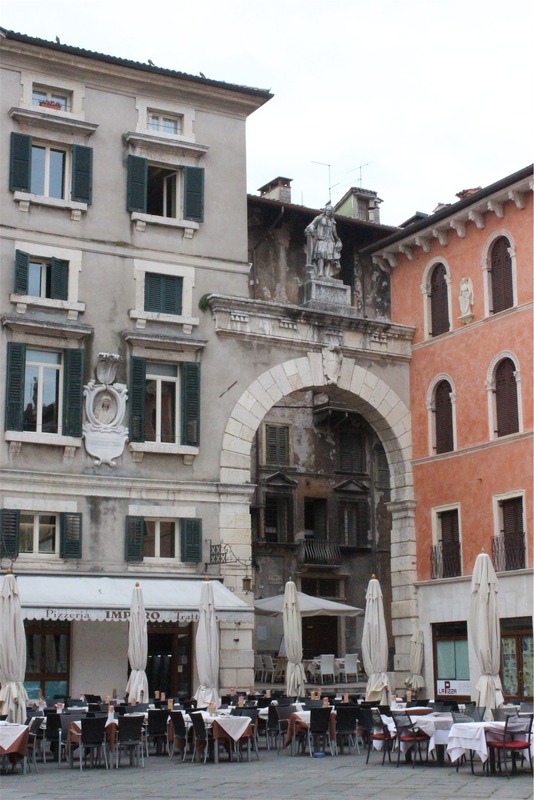 Once we left Verona, it was off to our accommodation in Mestre near Venice to get ready for another iconic Italian city! You’ll notice that the left breast of the statue at the Romeo and Juliet balcony is a different colour. That’s because apparently it’s good luck to rub it. I didn’t because as you said there were sooo many people there. Plus I don’t normally go round rubbing women’s breasts!